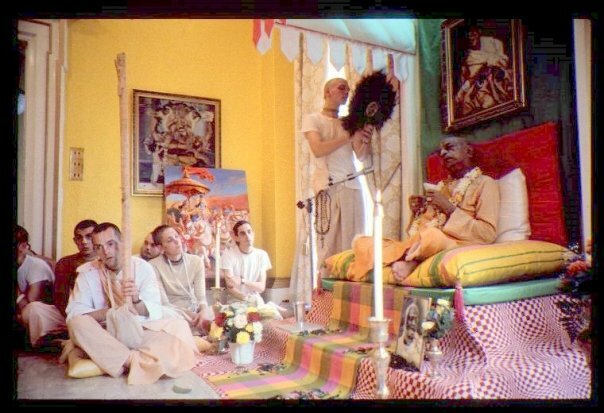 Here we see, in the background, the painting Prabhupada chose for the front cover of his Bhagavad-gita As It Is (standing yet unframed on the floor). He was very happy about that painting, and he wished that Deities precisely resembling Krishna and Arjuna on the painting be made for the alter on the Gita-Nagari farm. He also desired that the pictures on he covers on his books should remain the same on all their respective translations into other languages. This wish has, unfortunately, never been honored. This entry was posted in All posts, BBTI, Bhagavad-gita As It Is, Changed pictures and paintings, Direct quotes, Examples of changes, No authorization, No reply from BBT International, Prabhupada said and tagged authorization, bbt, BBTI, Bhagavad-gita, examples of changes, front covers, paintings, prabhupada. Bookmark the permalink. 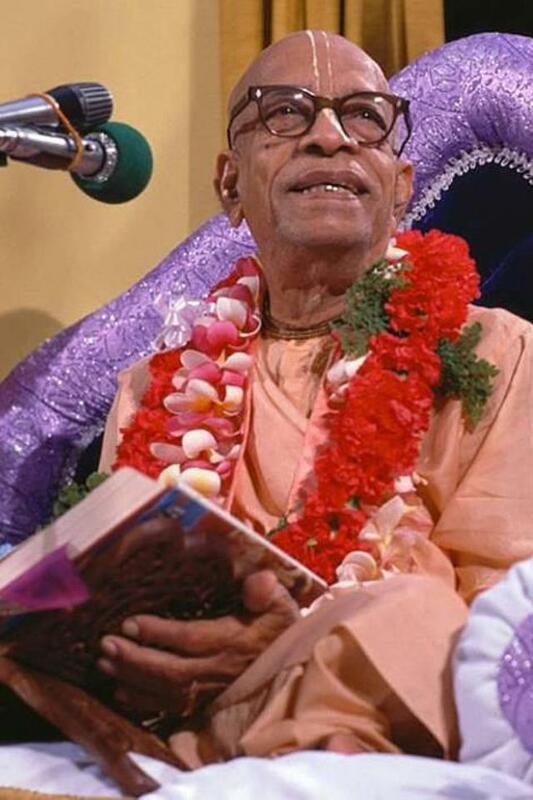 Even though Tamal knew that Srila Prabhupada wanted the deities to be Krishna Arjuna from original Gita he installed Radha Dhamodhara there instead. So it is nothing new for the “leaders” of ISKCON to completely (knowingly) disregard Srila Prabhupada’s direct orders. Pingback: Arsa-Prayoga | All changes except philosophical changes are okay?